God using the balsam tree to give David victory over the Philistines is described in 2 Samuel 5:17-25 and 1 Chronicles 14:8-18. When the Philistines discovered that Da vid was anointed king over Israel as well as over Judah, they went out in force to search for him. During the seven years David was king over Judah at Hebron, the Philistines were not too concerned about his kingship. For them the problem occurred when Israel (northern tribes) asked David to be their king. The Philistines cities were in the lands of the northern tribes; they feared David would wage war against their cities. The Philistines entered the Valley of the Rephaim, located on the border between Judah and Benjamin on the west and southwest sides of Jerusalem. There they raided and plundered the inhabitants who were mainly Israelites. David responded to the Philistine’s raids and at Baal Parazim David and the Israelites fought a battle with the Philistines. The Philistines were routed. When they fled, the Philistines abandoned their idols. Following Mosaic law, David burnt the idols (Deuteronomy 7:5, 25). Perhaps outraged by the previous defeat and David’s destruction of their idols, the Philistines raided the Rephiam Valley a second time. David asked God if he should attack the Philistines. God’s answer was “yes;” but David’s army should not go straight at the Philistines. Instead, the Israelite army should circle around the Philistines and attack them in front of the balsam trees. The signal for the Israelite army to attack was the sound of God marching in the tops of the balsam trees. The marching sound meant that the Lord went in front of the Israelites to strike the Philistines. In the Rephiam Valley balsam trees grew in groves. God made the wind blow through the tops of the balsam tree so that leaves rustling and branches rubbing against each other and created a sound like men marching. The sound was so loud that the Philistine army thought that a huge Israelite army was advancing toward them. Terrified they fled the valley. David’ army pursued and struck down the Philistines from Gibeon to Gezar, a range of about 15 miles. At the time of this battle, Gezar was not a Philistine city; it was held by the Egyptians (Joshua 10:33). Apparently, the Philistine soldiers were so frightened that they fled to the powerful Egyptians for safety. The episode concludes with, “so David’s fame spread throughout every land, and the Lord made all the nations fear him” (1 Chronicles 14:17). 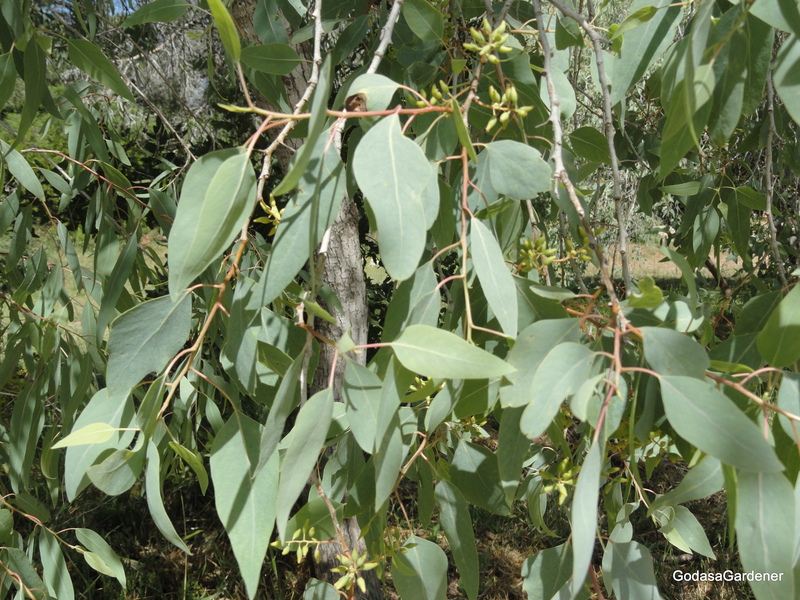 The balsam tree is a species of aspen, most likely the Populus euphratica, which is believed to be native to Israel and Middle Eastern countries. The balsaam is also called the Euphrates popular and salt poplar. In Israel the tree grows throughout the country; it grows well in rocky and hilly soils and in brackish water. The balsaam tree grows as tall as 45 feet and has spreading branches. On older branches bark is thick, olive green to gray-brown, and roughly striated. Branches are bent and almost always forked. The balsaam’s flower is called a catkin because it resembles a cat’s tail and droops from the stem. In mid-summer, the P. euphratica produces a green to reddish brown fruit which is a 2-4 valve capsule. Seeds are minute and enveloped in silky hairs which aid wind dispersal. Balsam trees are associated with the word “people.” The word Populus in the name Populus euphratica is derived from the trees ancient Latin name arbor populi which means “the people’s tree.” When God identified the Israelites as his chosen people, God told them that he would dwell with them, walk with them, and protect them (Leviticus 26:12; Deuteronomy 11:22-25). In the Valley of Rephiam, God gave his chosen people victory through the sound of an army (people) marching in the tops of balsam trees. Israel’s victory was so decisive that David’s fame spread to people of every land; the Lord made people of every nation fear David. In the Old Testament, God took a people for himself who were of one race. In the New Testament, Christ directed his disciples to take the good news of the gospel to all his creation (Mark 16:15). Over 2000 years later, people of all races believe in him. Despite Christ’s welcome and guaranteed love of all people, the Bible cautions, “It is a dreadful thing to fall into the hands of the living God” (Hebrews 10:31). What does such an ominous verse mean to people? The writer of Hebrew’s elaborated by saying if people keep on sinning after they receive the knowledge of truth, no sacrifice for sin is left; only a fearful expectation of judgment (Hebrews 10: 26-30). The writer compared the Old Testament Jews rejection of the Law of Moses to an individual who rejects the truth of Christ after they know it. His argument was if Old Testament Jews who rejected the Law of Moses died, then how much more will individuals who trample the Son of God deserve punishment? The latter individuals insult the Spirit of grace because they show contempt for the blood of Christ who sanctifies them. The Lord lives with his people, protects them, and loves them. In addition, the Lord judges his people. Reflection. In the battle where God marched in the tops of the balsam trees, David counted on God rather than his army to protect the people of the Rephiam Valley and Israel. In a later story, we learn that David took a census of eligible fighting men in Israel rather than trust God to protect the people (2 Samuel 24:10). Do David’s actions have any parallels to our own life? Do we believe that God will protect his people? Bible Reference: 2 Kings 4:38-41. Elisha was a prophet in the Northern Kingdom between 848-797 B.C. ; his name means “God is Spirit.” Elisha was a disciple of Elijah. Because Elisha saw Elijah taken up into heaven, he received a double portion of Elijah’s spirit to support his ministry (2 Kings 2:10). Elisha long ministry was during the reigns of Kings Joram (Jehoram), Jehu, Jehoahaz, and Jehoash (Joash) over the Northern tribes. At the time of this story, Elisha was in Gilgal, north of Jericho in the tribal lands of Manasseh. Gilgal was in the midst of a famine. While a company of prophets were meeting with Elisha, he directed his servant to cook a large pot of stew for the men. A servant went out into the field to gather herbs. Finding a wild vine, the man filled a fold of his cloak with gourds from the vine. Although no one recognized the gourd, they were cut up and put in the stew. After the stew cooked, it was poured out for prophets. As the prophets ate the stew, they became very sick and cried out, “O, man of God, there is death in the pot” (2 Kings 4:40). Immediately, Elisha directed them to get flour. He put the flour into the pot. The flour was probably stirred into the stew. Then, Elisha directed that the stew be given to the company to eat. Believing Elisha mitigated the poisonous substance in the stew, the prophets ate it. None became sick. Many botanists and Bible scholars proposed that the wild vine and gourds were Citrullus colocynthis, a cucumber-like plant with purgative qualities. Likely the flour was from barley, the flour of the poor in Israel. Possibly the barley flour coated the gourd and/or the stomach and intestinal tract; thus reducing or eliminating the gourd’s severe purgative effect. Alternatively, the prophets’ faith in Elisha and his flour remedy could have opened a door for God’s power to detoxify the stew. The chronicle of Elisha’s life showed that time-after-time God assisted Elisha as he walked in God’s path (2 Kings Chapters 4-6). Citrullus colocynthis is called the bitter gourd. In the past the gourd may have been eaten, however, it is not now considered an edible plant. Its origins are North Africa or the Eastern Mediterranean area. It grows in sandy soil and gravel in Israel. As an herbaceous vine, the bitter gourd trails over the ground or climbs shrubs and fences using tendrils. Its leaves resemble those of a watermelon or the familiar garden gourd in the United States. After the vine has withered, gourds can be seen lying in the soil or sand. Over time, the rind breaks down. Seeds enter the soil or are eaten by animals. Bitter gourd is propagated by seeds or by root segments; seeds germinate after spring rains. The bitter taste and possibly purgative effect associated with bitter gourd is in the pulp. When seeds are washed and consumed separate from pulp, they are generally described as tasteless. In the Elisha episode, the bitter gourd is associated with death. The prophets thought they were dying because they ate the gourd-filled stew. Originally, God’s plan was that men and women did not die, but lived forever. Because Adam and Eve desired to be independent of God’s laws, the human race became subject to death. Through the Old Testament millennia only Enoch (Genesis 5:24) and Elijah (2 Kings 2:11-12) did not die physically; yet God does not take pleasure in death, even the death of the wicked. God wants the wicked to repent and live (Ezekiel 18:23, 32; 33:11). Some individuals fear death. Job personified death as the “king of terrors” (Job 18:14); however, Job declared that death is naked before God (Job 26:5). Ever gracious, God made a simple way for men and women to not die, but live forever. Christ said that anyone who hears his word and believes God … will cross over from death to life (John 5:24). By his own death, Christ destroyed death and bought immortality to the human race (2 Timothy 1:10). Christ’s death overcame the devil that holds the power of death (Hebrews 2:14). When Christ comes, Christians who have died will rise; this is called the first resurrection. Our bodies – decomposed, blown up, or cremated – will be raised. Perishable, mortal bodies will become imperishable and immortal (1 Corinthians 15:52-55). Our physical death will be swallowed up in Christ’s death and resurrection. Then, we will live with Christ eternally. John wrote that blessed and holy are those who take part in the first resurrection (Revelations 20:6). They will not participate in or be hurt by the second death (Revelations 2:11 and Study Note). The second death is the lake of fire reserved for those who did not believe in Christ. According to Revelations, the following individuals/groups are destined for the lake of fire: the cowardly, the unbelieving, the vile, the murderous, the sexually immoral, those who practice magic arts, the idolaters, and all liars (Revelations 21:8). Along with Death and Hades, these individuals/groups will be thrown into the lake of fire (Revelations 20:14). Reflection. Elisha’s belief and actions saved the prophets from dying from the poisonous gourd. Christ’s actions saved us from eternal death. After reading about the lake of fire, I know it’s not someplace I want to go. What about you – do you want to take part in the first resurrection or the second death? King Hezekiah directed the priests and Levites to re-consecrate themselves and reopen God’s Temple. This story is told in 2 Kings 18:1-2 and 2 Chronicles chapter 29. King Hezekiah was 25 years of age when became king of Judah. He reigned 29 years (715-686 B.C.). He father was Ahaz but unlike Ahaz, Hezekiah did what was right in God’s eyes. Isaiah was at his most influential during Hezekiah’s reign. During Hezekiah’s reign, the Northern Kingdom fell and its inhabitants were dispersed through Assyria. Hezekiah was distinguished by his absolute confidence in God even under duress. Immediately after being crowned, King Hezekiah began religious reform. His purpose was to make a covenant with God so that God’s fierce anger would be turned away from the kingdom of Judah (2 Chronicles 29:10). In the first month of his kingship, Hezekiah reopened and repaired the Temple doors. He gathered the priests and Levites and instructed them to purify and consecrate themselves. After the priest and Levites were consecrated, they clean out the Temple. Unclean furnishing and idolatrous items found in the temple were dumped into the Kidron Valley. Over a 16-day period, the priests purified the Temple and consecrated its altars and furnishings. The sacred anointing oil was used in the consecrations. After the purification and consecrations, King Hezekiah provided bulls, rams, lambs, and goats as a sin offering for the people of Judah. While the offerings were made, Levites played music on cymbals, harps, and lyres and sang in the manner prescribed by King David. King Hezekiah, city officials, priest, Levites, and the entire assembly knelt down and worshipped God. After the sin offerings, the assembly brought sacrifices and thanks offerings to God. So many offerings were presented that the priest could not skin all of the animals. They had to enlist the Levites to assist them until more priests could be re-consecrated. Thus, Temple worship was reestablished under King Hezekiah. When the Tabernacle was built, God prescribed ingredients to be used in the anointing (purifying and consecrating) oil. Five ingredients were named: myrrh, cinnamon, fragrant cane, cassia, and olive oil. The anointing oil was sacred and used only for anointing the priest and the Temple furnishing and accessories. In Chapter 4, cassia was described as an ingredient for the anointing oil in the Tabernacle. In this chapter, fragrant cane will be described as an ingredient in the Temple anointing oil. Isaiah (43:24) mentioned fragrant cane (calamus) declaring that the people of Judah no longer brought cane to God, probably meaning in the incense of sacrifice. Most botanists and religious scholars associate the Biblical fragrant cane with the Acorus calamus variety calamus., called sweet cane and calamus. Although fragrant cane is a Bible plant, in 2012 it was not found in two popular Israeli plant databases: Online Flora of Israel and Wild Flowers of Israel. Probably most fragrant cane used in the Temple anointing oil came from India. It is found in moist soils and shallow water in ditches, marshes, river edges and ponds, marshes and ditches. 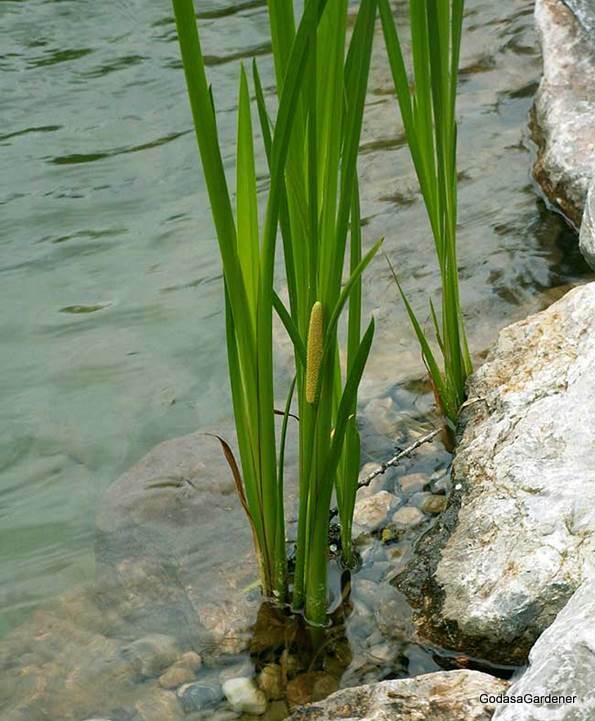 Viewed from the top of water or moist soil, fragrant cane that looks like numerous plants may be a single interconnected rhizome (root). Although leaves and stems can be harvested, the rhizome is used to make perfumes and sacred oils (Motley, 1995). Fragrant cane is very expensive. During the reign of Henry VIII, Cardinal Wolsey was accused of extravagance because he importing fragrant cane reeds at extravagant expense. The fragrant cane plant is associated with many different concepts to include vigor, purification, wisdom, and clarity. The symbolism that reflects this Bible episode is clarity which includes focused perception, to free of confusion, and to make understandable. Under Ahaz’s reign, some of the priests of God’s temple likely remained at home and only practiced their faith with family and close friends. Others, like the priest Uriah (2 Kings 15:10-15), obeyed Ahaz and installed idol worship in the Temple. Probably both groups felt some degree of confusion, guilt, resentment, and shame (Psalm 97:7). These emotions would have clouded their thinking. When Hezekiah became king, he required the priests to consecrate themselves in preparation for re-instituting worship of God in the Temple. For the priests consecration meant that the sacred anointing oil was applied to themselves and possibly their clothes. Then, the priests anointed each item in the Temple. Being anointed to God’s service would have focused the priest’s thoughts on God. Anointing the Temple furnishing and accessories over a 16-day period would have clarified the purpose and meaning of each item in the temple. Finally, performing the sacrifices reinforced the priests’ understanding of their role in Temple worship. Use of the anointing oil promoted clarity in the priests’ perceptions. When we accept Christ we are anointed with the Holy Spirit. Christ’s anointing teaches us the truth on everything we need to know about ourselves and Christ, uncontaminated by a single lie (I John 2:26-27) Now, Christ is our safe place – the place where perceptions, understanding, and clarity abide. As we listen to candidates and persuasive leaders in any field, we need to remember and believe that Christ knows his sheep and they know him (John 10:1-6). Christ’s sheep will not follow a stranger’s voice. Christ sheep not only hear his voice but listen or obey his voice and words. St. John recorded that when Jesus used this figure of speech, his listeners did not understand what he was talking about. Reflection. How is your clarity? Do you understand what Jesus was talking about in John 10:1-6? The anointing oil used in the Tabernacle is described in Exodus 25:6; 29:1-9; 30:22-33; 40:17; and Leviticus 8:1-13, 30. When God instructed the Israelites to bring offerings for the Tabernacle, he included spices for the anointing oil. Sacred anointing oil was a blend of four spices and olive oil. God was specific in the proportions of each: 500 shekels of liquid myrrh, 500 shekels of cassia, 250 shekels of fragrant cinnamon, 250 shekels of fragrant cane and one hin of olive oil. The sanctuary shekel was equivalent to about 2/5th ounce. Taken together the four spices weighed about 38 pounds. A hin of olive oil was equivalent to about one gallon. The Tabernacle anointing oil was made by a perfumer and it was considered sacred. If any person made perfume like it or put it on anyone other than a priest, they would be cut off from the Israelites. The Tabernacle was set up on the first day of the first month in the second year after the Israelites left Egypt. At that time the Tabernacle, its furnishings, the priests, and the priests clothing were anointed with the sacred oil and consecrated. Anointing was done to set apart items and people to God’s service. Consecration means “to make holy” for God’s service. Leviticus chapter 8 called the process of anointing and consecrating Aaron and his sons “ordination.” As it is used in Leviticus, ordination literally means “you shall fill his hands.” Probably the meaning was that the priests will take into their hands the role/tasks of the priesthood given to them by God. The Bible allocated many verses to Moses’ anointing and consecrating the Tabernacle and the priests. The reason for these detailed descriptions is that God is holy and demands holiness from those who serve him. The Bible detailed that Aaron and his sons were anointed and consecrated only after sacrifice and atonement were made for their own sins. They could not be anointed for God’s service until they were ritually clean. Outwardly Moses presided over the anointing of the Tabernacle; however, the Israelites understood that God, not Moses, made the Tabernacle and priests holy. Cassia is used to represent the spices in the anointing oil. It was probably brought with the Israelites out of Egypt. Egyptians imported cassia from China and used cassia in the embalming process. As the Israelites traveled throughout the Sinai Peninsula, they could have bought cassia from traders who crossed the Peninsula from Arabia to Egypt. In the ancient Middle East, peoples so valued cassia that it was worth its weight in gold or ivory. The botanical name for the Tabernacle cassia is Cinnamomum cassia also known as C. aromaticum. Although cassia is in the same genus as the spice cinnamon, cassia is a different plant with a more pungent aroma. Both fresh and fallen leaves emit the cassia aroma. Chinese cassia comes from the bark of the cassia plant. The tree is cut above the ground level 4 – 5 years after planting and every 3 – 4 years thereafter. The bitter-tasting outer bark is removed leaving the inner cassia bark is dried in the sun. When the inner bark is dry it turns brown and curls into a hollow tube or quill. 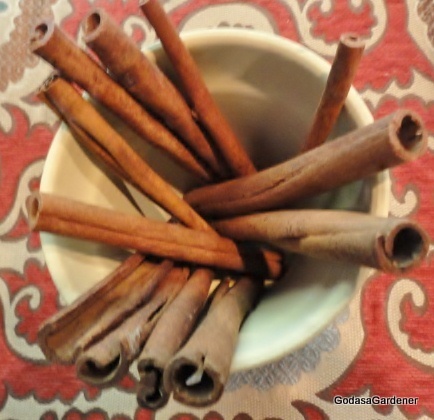 In the United States during the yuletide season, bunches (7 – 8) of cassia quills tied with a ribbon and sold in stores as cinnamon. Cinnamaldehyde is the major (70 – 95%) component of cassia bark and responsible for the pungent odor of the bark and powdered cassia. Cassia powder is a reddish brown color in contrast to the tan color of cinnamon. Cassia and other substances of the anointing oil symbolize the work of the Holy Spirit, particularly the Spirit’s acts in the New Testament. Christ told the people of Nazareth that he was anointed by the Holy Spirit to preach the gospel to the poor, to proclaim freedom for the prisoners, to give recovery of sight to the blind, to release the oppresses and to proclaim the year of the Lord’s favor (Luke 4:18-19.). To the Church at Jerusalem and to the Gentiles at Cornelius’ home, Peter reiterated that God anointed Christ with the Holy Spirit and empowered Christ (Acts 4:24-28; Acts 10:38). Christ’s work on earth was completed through the anointing power of the Holy Spirit. The Holy Spirit anoints believers for God’s work on earth just as the Holy Spirit anointed Christ’s for God’s work on earth. Saint John declared that Christians have an anointing from the Holy One (1 John 2:20). Scholars are not sure whether “Holy One” refers to God or Christ; however, there is wide-spread agreement that anointing means the Holy Spirit. We Christian’s are anointed with the Holy Spirit when we accept Christ as our Savior. At that time, the Holy Spirit enters into our body and mind and becomes a part of us. Christ told his disciples before he left them that the Holy Spirit would come to them (John 16:5-15). The Holy Spirit would convict them of sin and righteousness, console and guide them, be their advocate with God, and the revealer of all truth. According to Paul, the Holy Spirit gives gifts to Christians so the work of the Church in the world can be accomplished, e.g., administration, teaching, healing and distinguishing of spirits (1 Corinthians 12:8-10, 28). Although God’s work here on earth is vitally important, the Holy Spirit anointed Christ and believers not just for work. In addition to anointing Christ with power for work, God anointed him with the oil of joy (Hebrews 1:9). The oil of joy was more valuable than the most important and valuable aromatic oils and cassia in the fragrant robes of the greatest king (Psalm 45:7–8). The reason God anointed Christ with the oil of joy was so Christ could give the joy to believers. Isaiah wrote that Christ would bestow on believers a crown of beauty instead of ashes and the oil of gladness instead of mourning (Isaiah (61:10). What a blessing to know that when we enter a personal relationship with Christ, we are anointed with the Holy Spirit and given the oil of joy and gladness. Further, the Holy Spirit’s anointing presence allows us to bear fruit spiritual fruit in our lives: love, joy, peace, patience, kindness, goodness faithfulness, gentleness and self-control (Galations 5:22-23). Reflection This morning, I heard a song that said, “You raise me up to more than I can be” (The Four Troops, 2010). God does that through anointing Christians with the Holy Spirit. What are you doing with your anointing? The story of King Uzziah and his prideful attempt to burn incense in the Temple is described in 2 Kings 15:1-7 and 2 Chronicles Chapter 26. Uzziah inherited the crown of Judah when his father Amaziah was murdered. He reigned for 52 years. At the beginning of his reign, Uzziah did what was right in the eyes of God and God gave him many successes. He won decisive battles over the Philistines, the Ammonites paid him tribute, and he added to the fortifications of Jerusalem. Uzziah had a well-trained, well- equipped army of over 300,000 men. With success, Uzziah became proud and unfaithful to God. On one occasion, Uzziah entered the Temple and began to burn incense on the Altar of Incense. According to Mosaic Law, only consecrated priests who were the descendants of Aaron could burn incense in the Temple. Uzziah was holding the censer for burning incense when the chief priest Azariah and 80 courageous priests confronted him. Azariah reminded Uzziah that even though he was king, he could not burn the incense. Azariah demand that Uzziah leave the sanctuary. As Uzziah began to rage against the priests, leprosy broke out on his body. Azariah saw the leprosy and hurried Uzziah from the temple. When Uzziah saw his leprosy and was eager to leave the Temple. From that time until his death about 10 years later, Uzziah lived in a house separated from the palace. His son, Jotham, governed Judah. Uzziah was buried near his ancestors in a field; however, he was not buried in the royal tombs because of the leprosy. The composition of Tabernacle incense was fragrant spices – stacte, onycha, and galbanum – and pure frankincense all in equal amounts (Exodus 30:34, KJV, Scofield, 1945). Very likely the same ingredients were used to make Temple incense during the first and the second Temple (Sirach 24:15, Oxford Annotated Bible with the Apocrypha, 1965; Rabinowitz, 1977). The plant galbanum was described as an ingredient of the Tabernacle incense in Chapter 4. In this section, stacte will be used in as the ingredient in the Temple incense. Temple incense stacte comes from the plant Styrax officinalis. 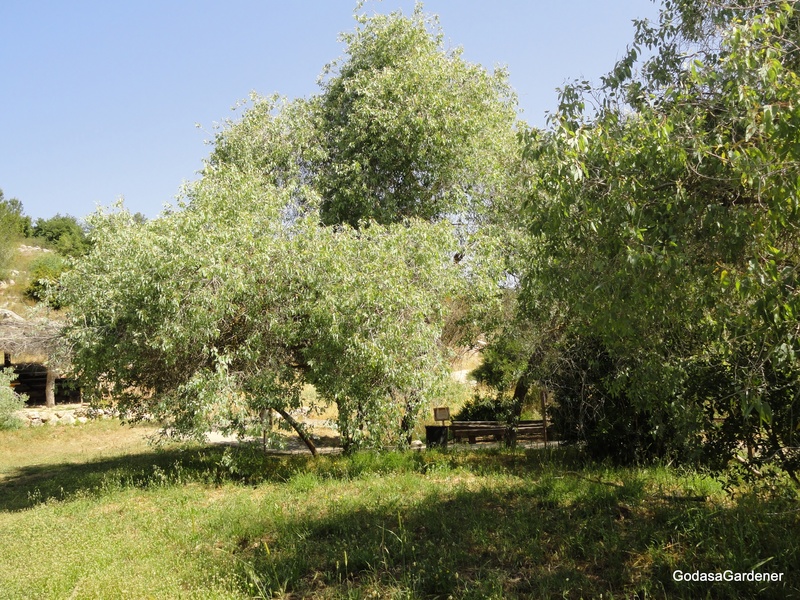 In Israel, S. officinalis has several names to include stacte tree, Official Storax, and styrax. Stacte is translated as gum resin (Exodus 30:34) in the New International Version Study Bible (2002). The origin of styrax is Eastern Mediterranean countries, from Italy through Turkey to include Israel. Styrax is classified as a tree (52 feet in height); but often looks more like a good size shrub. The habitat is dry rocky slopes, in woods and thickets, and besides streams. In Israel, the styrax tree is seen in the Judean and Samarian mountains and on Mounts Carmel and Herman as well as in the Upper Jordan and Northern valleys. Because the styrax tree is deciduous, in autumn leaves turn yellow and drop and in spring new leaves sprout. 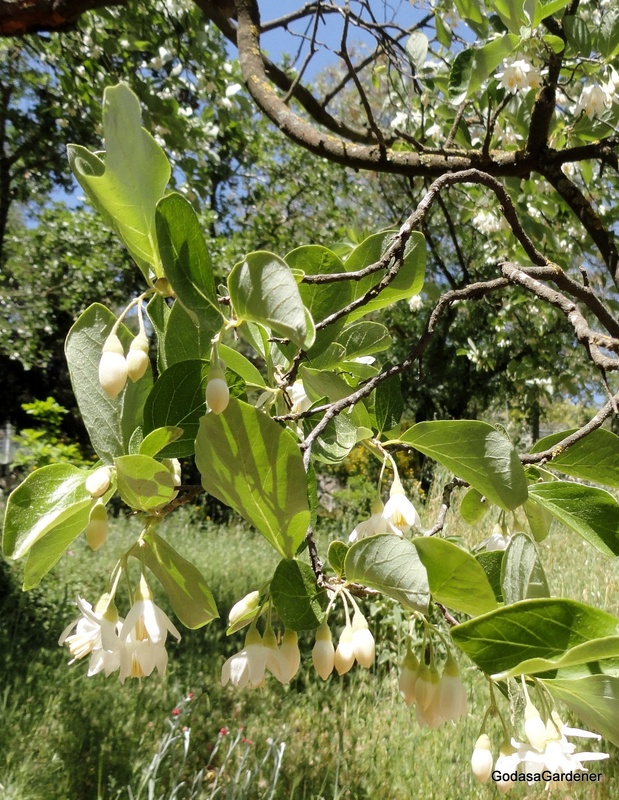 The styrax tree blooms April through June in Israel. The entire tree is covered with flowers which look like snowdrops. Styrax is an important honey plant. Frequently, pollination occurs via insects, e.g., bees. When the styrax tree stems and branches are wounded, a highly perfumed balsamic resin (gum) is exuded. The resin has been both described as smelling similar to a hyacinth. The Hebrew word for stacte is nâtâph derived from the primary root nâtaph which means to ooze in the sense of to distill gradually or to fall in drops (Strong, 2010). The figurative meaning of nâtaph is to speak by inspiration, e.g., prophesy. As a nurse and as Master Gardener when I think of inspiration I think of breathing or oxygen taken into a human or a plant; but, the Bible has a different perspective on inspiration. Inspiration is “God’s breathed out” word into the Holy Scriptures and into the words of the prophets (Renn, 2005). Similar to the S. officinalis exuding gum resin (stacte), God exuded and exudes his message to the world. As we talk about passages from the Bible, we often say as “David said in Psalm 51” or “as Paul wrote.” We need to remember that the authors of the Bible wrote by the Holy Spirit. The words of the Bible are not words of the author, e.g., David, Jonah, Paul; rather the words of the Bible are God’s words to the human race. The Bible is God breathed and as such it is both divine authority and without error (Douglas & Tenney, 2011). God inspired the words of the Bible. “All scriptures is God-breathed and is useful for teaching, rebuking, correcting and training in righteousness” so that God’s people can be thoroughly equipped for all good works (2 Timothy 3:16, NIV Study Bible, 2002). The Bible is a model for how we should live in this world. We can learn a new way of thinking and behaving from the Bible. When we read the Bible, we take God’s inspired words into us — or not. Christmas morning I sat in church listening to the epistle being read and thought how lovely the reader looked. In retrospect, I asked myself “where was my head?” Have you ever read the Bible while thinking of something else entirely? I have. On those occasions, I doubt if I changed any part of myself as a result of my reading. Reflection. Allowing God to inspire us from his holy Word is an intentional process on our part. How intentional are you being when you read The Holy Bible? At the end of a day of teaching, a Pharisee invited Jesus to his house to eat. Christ entered the house and reclined at the table. The Pharisee was surprised that Jesus did not wash his hands before the meal for two reasons. First, most foods were eaten with the hands. Second, although not a Mosaic Law, Jewish hierarchy advocated a procedure for hand washing before meals. Knowing what his host was thinking, Jesus admonished him, saying that Pharisees clean the outsides of dishware while they disregard the insides which are full of greed and wickedness. Pharisees’ tithe on mint, rue, and garden herbs, but neglect justice and the love of God. Christ admonished the Pharisees to practice justice and love as well as tithing. The Book of Law required that Jews tithe. Tithing meant that they gave 10% of their money and/or crops to the Lord which usually went to the Temple (Leviticus 27:30). Mint and rue were herbs produced by farmers and other agriculturists for commerce; therefore, Mosaic Law required Jews to tithe on them. Importantly, when Christ spoke to the Pharisee, he did not tell the Pharisee that tithing on mint production was wrong. Just the opposite, Christ reinforced the need for God’s people to tithe. At the same time, Christ instructed the Pharisees that loving God and seeking justice were the greater good. The mint that grew in the Holy Land was Mentha longifolia, sometimes known as Mentha spicata L., wild mint, and horsemint. The large mint family, Lamiaceae, has 250 genera and 6,700 species; species names are often confused and confusing. Probably, M. longifolia originated in the countries of the Mediterranean Basin; however, South Africa claims it as indigenous. Mint thrives in most soils as long as soils are moist. If mint plants are propagated to secure a specific aroma, it is best to cut a piece of the original root (rhizome) and plant it. Virtually any part of a root will grow into a new plant. When mint is planted for its essential oils, full sun is optimal; however, it will grow in partial shade. Wild mint tolerates strong winds but not maritime exposure; it is not frost tender. In Israel, wild mint is found in Galilee, the central mountains and valleys, and south into the Northern Negev Desert and Aravah Valley. The Greek word for mint is hēduŏsmŏn which is derived from hēdista meaning very gladly and kauchaŏmai, which means joy and rejoice. These two Greek words denote happiness and joy. Both words are appropriate for mint which medicinally relieves headaches, aids digestion, and is used to cover unsavory tastes and smells (Plants for a Future, 2012). King David associated righteous behavior with gladness, happiness, and joy (Psalm 68:3). When Pharisees tithed on their income to include the relatively unimportant herb mint, they acted rightly. If they lived in strict adherence to the Mosaic laws, the Pharisees could have been happy, joyful people; yet, I could find no place in the Bible where the Pharisees were described as happy or joyful. Is it possible that righteous behavior does not lead to happiness? Was David wrong to associate righteousness with joy? Or was there something wrong about the righteousness of the Pharisees? William MacDonald (1995) succinctly summarized why Pharisees were not happy and joyful. They were externalists; which means the Pharisees were punctilious about small details of the ceremonial law, i.e., hand washing. At the same time, they neglected the greater commandments to love God and their neighbors (Matthew 22:37-40). They emphasized the subordinate and overlooked the primary laws of God. Happiness and joy cannot come when God or his primary commandments are ignored. Happiness comes from loving God and striving to please him in all things. Joy comes from doing good to others. Reflection. Christ said, whatever you do to the least man, woman or child, you do to me; and whatever you do not do to the least man, woman, or child you do not do to me (Matthew 25:40, 45). Christ is the “least” man, woman, or child. Bible Reference: 1 Samuel chapter 8. Samuel was a priest, a prophet, and the last judge over Israel. Samuel’s life was at the intersection of two time points in Israel’s history: (1) when Israel was a theocracy and judges conveyed God’s will to the people and (2) when there was an earthly king over Israel. Samuel was about 65 years old when the leaders of Israel came to his home at Ramah. There, Israel’s leaders requested a king. Their reasons were 1) Samuel was old; 2) his sons did not walk in his ways; i.e, Samuel’s sons’ perverted justice by accepting bribes; and 3) like other nations the Israelites wanted a king who would protect them and fight their battles for them. Take their sons to man and equip his chariots and horses, serve as warriors, make weapons of war, plow the kings ground, and reap the king’s harvest. Take their daughters to be perfumers, cooks, and bakers. Give to his officials and attendants the best of their fields, vineyards (grapes), and olive groves and 1/10th of their grain and vintage (wine). Take the best or their cattle and donkeys and 1/10 of their flocks. Samuel warned the Israelites that they would become the king’s slaves. When this happened, the Israelites would cry out to God, but God would not answer them. The Israelites refused to listen to Samuel’s warnings; emphatically, they asked for a king. Once again Samuel took their demands to God. God’s response was, “Listen to them and give them a king” (1 Samuel 8:22). Chapter 8 ends with Samuel telling the men of Israel to go back to their own town. Chapter 9 begins with the story of the first king of Israel. The plant that illustrates Samuel’s message to the Israelites is the grapevine. The grapevine is one of the seven plants that God told the Israelites would be available to them in the Promised Land (Deuteronomy 8:8). In ancient Israel, grape vines were a principle crop because grapes were used fresh or dried or made into wine. Taking the best of an Israelite’s vineyards could deprive a family of food and/or affect their income. 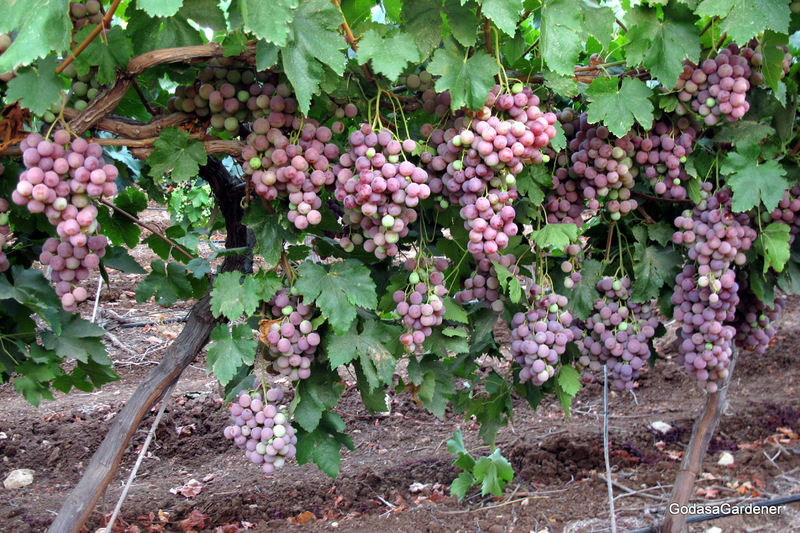 Vitis vinifera is the botanical name for the grape that grows in Israel. In ancient Israel when a family had only a few vines in the yard, often the vines remained laying on the ground. The V. vineifera fruit is the grape. The best grapes are obtained when vines are pruned. Wine is fermented grape juice. Although the Negev was a popular area for wine growing in ancient times, today there are wine regions all over Israel. The grape vine and vineyards are mentioned over 500 times in the Bible. At times the vine referred to peace and prosperity (1 Kings 4:25; Micah 4:4, and Zechariah 3:10). At other times, the vine was associated with the Israelites and their destiny as God’s chosen Old Testament people (Psalms 80:8-16 and Isaiah 1:5-8). Destiny means a predetermine course of events. Israel’s destiny was that God be their king; he was to be the watchman over the vineyard Israel (Psalm 121:3-4). In Old Testament Israel, large vineyards were surrounded by a thorny hedge or stone wall. A tower was placed in the vineyard for a watchman to guard the vineyard from thieves and/or destroyers. Psalm 80 provides a succinct description of Israel as a vine and Israel’s destiny. God brought a vine out of Egypt and drove out the nations and planted the vine in Canaan/Israel. Initially the vine grew and flourished. Then, the Psalmist laments, “why have you broken down its wall so that all who pass by pick its grapes?” (Psalm 80:12). Regardless of the Psalmists lament, we must remember that the Israelites, not God, changed their destiny. Had they continued in obedience and trust, God would have remained their watchman. Certainly, Samuel’s warned the Israelites what their destiny would look like under an earthly king and numerous prophets warned them against rejecting God and turning to idolatry. Despite Israel rejecting their God-given destiny, God did not leave the Israelites without hope. In Zachariah, God told the Israelites that he would send them his servant, the Branch and remove the sin of the land in a single day (Zechariah 3:8–10). The branch is a title for the Messiah. On the day Christ was crucified a way was opened to removed sin from Israel and the world. God has appointed a destiny for Christians, unbelievers, men, and women. This life or death destiny applies to all people. Jews and Gentiles no longer have separate pathways to everlasting life (Ephesians 2:11-22). Saint Paul described that destiny as, “For the wages of sin is death, but the gift of God is eternal life in Jesus Christ our Lord” (Romans 6:23). The true and absolute pathway to life is through the life, death, and resurrection of Christ. I love Bible plants along with their symbolism. If you want to learn more about them, read my two books: 1) Rooted in God and 2) God as a Gardener. You can purchase them from my website: Carolyn Roth Ministry at http://www.CarolynRothMinistry.com/.